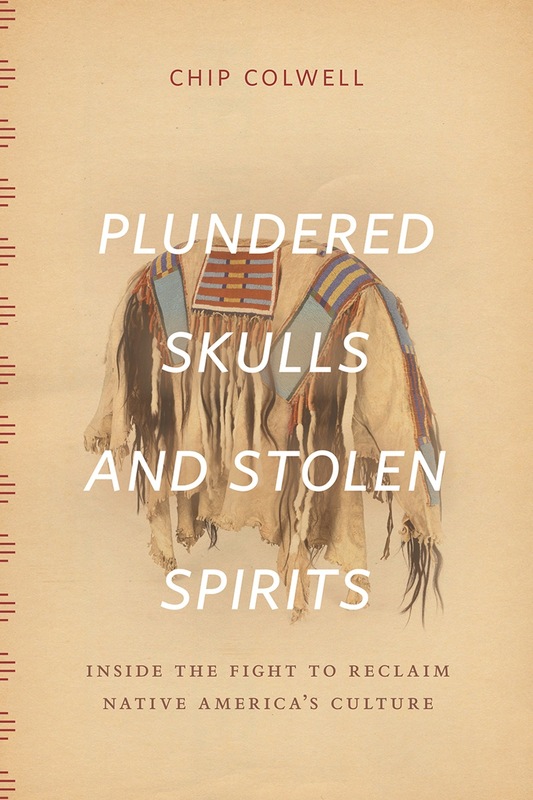 Invited guest lecture by Dr. Chip Colwell, author of the new book, Plundered Skulls and Stolen Spirits: Inside the Fight to Reclaim Native America’s Culture (University of Chicago Press 2017). The book illuminates Colwell’s personal experiences, inside the Denver Museum of Nature and Science, as he worked to reconcile the religious concerns and demands of Native American claimants with the academic demands of scientific researchers. His stories track the complicated histories of four significant Native American objects along the path to repatriation. This talk is a special event connected to the fall 2017 class, “Anthropology of Museums,” which includes studies of Native American object histories and repatriation in museums. The lecture will be followed by commentary and discussion with Dr. Brian Daniels from the Penn Cultural Heritage Center, Dr. Lucy Fowler Williams from the Penn Museum, and Dr. Margaret Bruchac from the Department of Anthropology. Sponsored by the Native American and Indigenous Studies Initiative at Penn and the Penn Cultural Heritage Center.